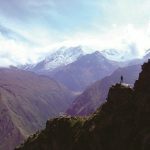 The magnificent and remote ‘lost’ Inca ruins of Choquequirao are on borrowed time, warns Peru trekking expert, Andreas Holland, with plans for cable car access set to elevate Choquequirao’s popularity – and change forever its peaceful and quiet ambience. According to Andreas Holland, who has lived and operated treks and adventures in Peru for more than 30 years, several of Peru’s attractions are on the cusp of major change. 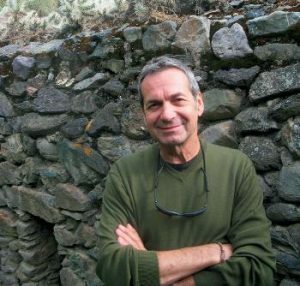 Holland, who is well known as one of the world’s most experienced Latin America experts, is World Expeditions’ guest presenter at its South America Road Show, a series of free information nights, to be held around the country in October and November. Register now for your place for the events to be held from 6pm in Brisbane on Wednesday, 17 Oct 2018, in Canberra on Thursday, 18 October 2018, in Adelaide on Wednesday, 24 October, in Perth on Thursday, 25 October, in Sydney on Tuesday, 30 October 2018 and Melbourne on Thursday, 1 November.